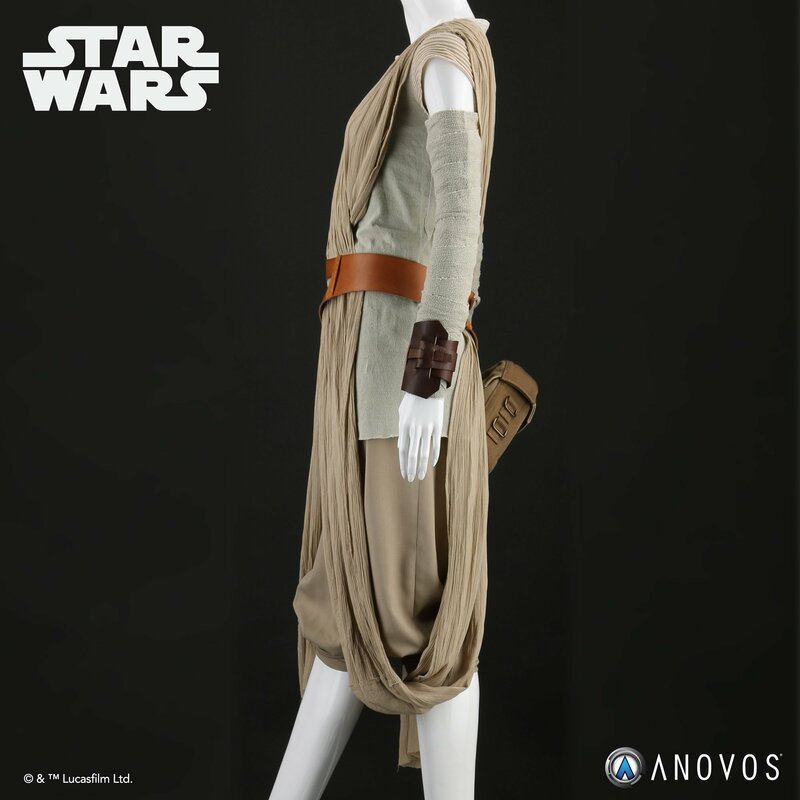 New Force Awakens Rey Jakku Premier Costume Ensemble now available for pre-order! 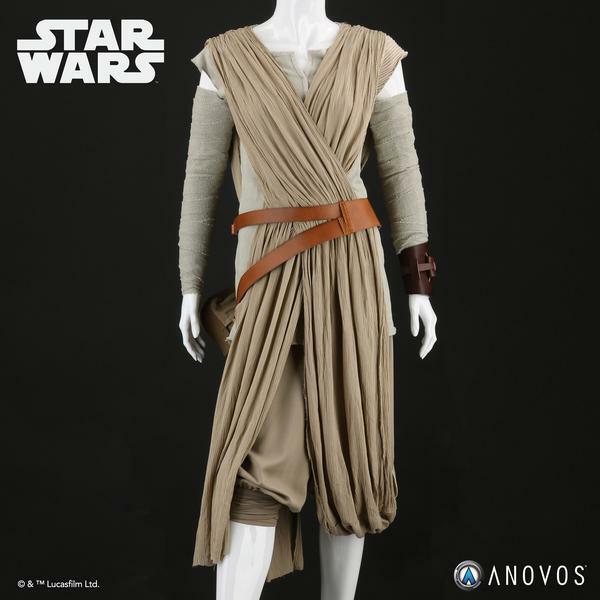 Anovos has begun a pre-order for a brand new Force Awakens themed costume ensemble of Rey’s clothes from Jakku! 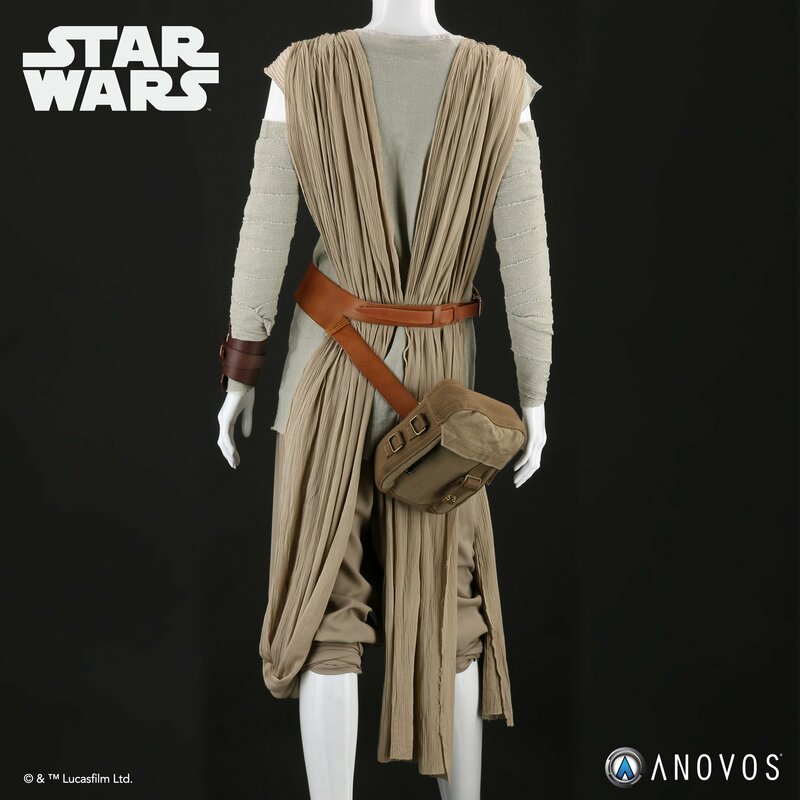 This costume costs $899 (!) and is expected to ship in the Spring of 2019. A scavenger on a harsh desert planet, Rey finds herself drawn into a galaxy-spanning conflict, and learns that her life is being shaped by the mysterious power of The Force. 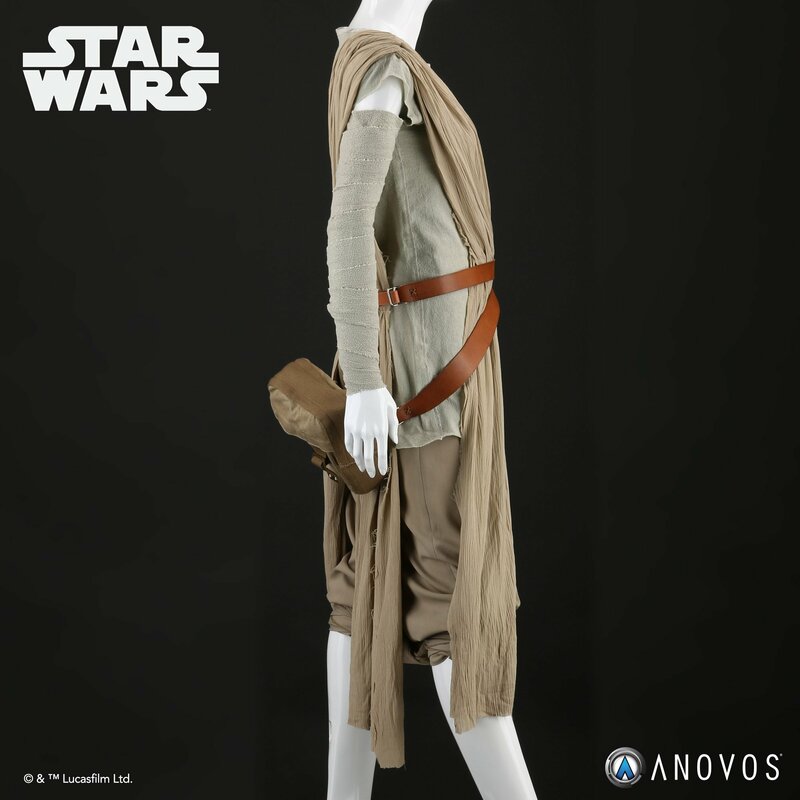 ANOVOS is proud to offer the STAR WARS: THE FORCE AWAKENS Rey Jakku Costume Ensemble. This ensemble is assembled, finished, and ready to wear. Dress is made of viscose gauze. Shirt is made of cotton lycra with shoulder embellishment. Wristlet and belt are made of genuine leather. Pant material is made of a silk-blend. Pouch is canvas with metal buckles. The fabric and leather pieces have been dyed to match the color of the screen-used assets. Basic Dressing Guide available for download.